This company was wonderful to work with! Even when I lost my file she sent it right over to me again! I will be using them again in the future if I plan any more baby showers! Thank you! Having used this service for the very first time, I will say that I am very impressed and satisfied with the end result. I will be using this service for future events. Thanks again! Adorable products, quick response time, awesome customer service - I am IMPRESSED. You totally saved this overwhelmed, hot mess Mom from a Valentine's Day disaster. Thank you! PS I love love LOVE that you have girl superhero templates. They are very hard to find and yours are "super" cute. Planning my own babyshower for my first child has been a task, but obtaining these beautiful invitations was so easy. The seller was very responsive and willing to help may distribution easier for me. Thank you so much!! I've already recommended you to a friend. Nadine created my invitations within 24 hours! She even adjusted the colors, to draw attention to important info, so my guests wouldn't miss it. The invitations are beautiful and cost effective! What a wonderful website, I will definitely be using them in the future! I absolutely loved my invitations and how fast they were. They also helped out so much changing things on the wording and making sure everything was perfect. Love the invitations!! Thank you again for all your help!! Great shop!! Great service!! This was the first time I printed invitations. It was for our daughter -in- law's baby shower and I wanted it to be perfect. The design went well with the baby animal theme. I showed the finished product to her and she loved it! Thank you so much. The digital image was ready the next day. I found a deal at Walgreens and printed them the same day. This was an awesome beginning to my cousins baby reveal. Thank you!!!!! Baby Printables was a great online experience. Fast, accurate and professional service was greatly appreciated! Will definitely use this site again when needed. Great job Baby Printables! Thank you Nadine! You took my thoughts and made them into the perfect invitations! I really appreciated your flexibility and input. Planning a shower can be challenging, with your help, creating the invitations was easy and fun! Thank you! I am in awe and completely in love with Nadine's hard work! She made it look beautiful and I even added some small edits, which she was so kind and welcoming to do for it. She has an amazing attitude and I am blessed to find her service to help me with the special day! I wholeheartedly would recommenced her to everyone because she puts her whole heart into the work! Nadine was wonderful to work with! She made changes to the invite and was available next day. I will definitely use her services again! Thanks! I cannot comment enough of Nadine's patience! She was super quick to respond and promptly answered all of my many questions. She went above and beyond customizing my invitations. We are so super happy with them. They are perfect! Thank you! Good morning Nadine! Thanks for all your wonderful hard work; I am very pleased with everything. Thanks for your professionalism and for your speedy service, I will tell everyone about baby printables. I take the time to personalize almost every item in this store for you. I want your baby shower decoration to be nearly as special as the bundle of joy you're celebrating! That's why I created a catalog of unique and creative baby shower printables in a wide array of themes from timeless classics to the trendy and elegant. ...and with a great product comes great customer service! Anytime you have questions or concerns, please do not hesitate to get in touch with me. I am reachable by email at all times with a quick turnaround for answers in eastern time zone (New York time). A phone number is also made available to customers who placed an order. The number is in your PayPal payment receipt email. Excluding items flagged as instant download, all personalized printables are delivered within 24 hours of placing your order. You have my commitment to excellent customer service and the best possible online shopping experience. ★ Color, Font and Layout changes are not included in ANY listing. If you have any questions or special requests, please email me. ★ No physical item will be mailed. All listings in this shop are for digital files only. ★ Due to the nature of digital files and the design work involved, no refunds will be issued once an order has been delivered to your email inbox. ★ ALL files are for personal use only. Print as many as you need. ★ Our checkout process is fully handled by PayPal’s secure servers. You can pay from your PayPal balance, debit, credit card, or bank account - a PayPal account is NOT required. 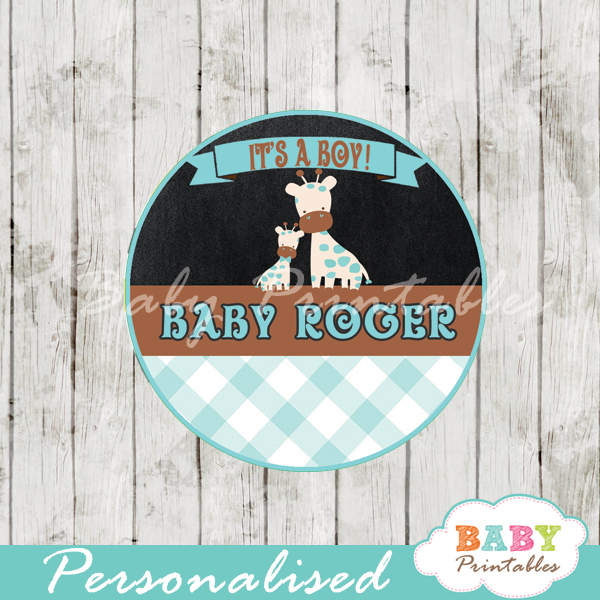 Copyright © 2019 Baby Printables All rights reserved.